Follow links above to the relevant sections below. Keeping up with the über-talented, awe-inspiring, world-travelling David Archuleta can be a full-time job. Even the most (D)avid fans among us don’t always have time to follow David. 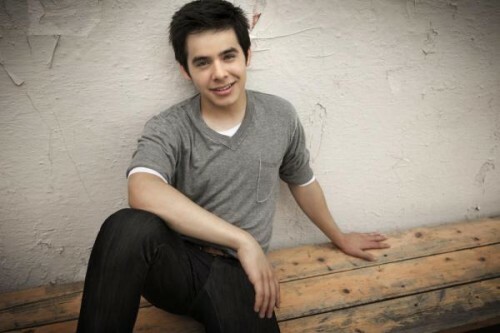 Here are some of last week’s top stories about the awesome David Archuleta. David’s record company, Jive, announces David’s special appearance on television. Be sure to catch David Archuleta on Good Day New York tomorrow morning at 9am EST for an interview and special performance! Also, see photos from David’s KC101 performance at Six Flags New England on 27 August! “The Other Side Of Down” Available in Indonesia & Malaysia! Attention all Indonesia & Malaysia fans! 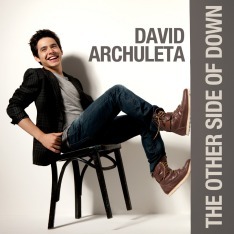 You can now pre-order “The Other Side Of Down” on DavidArchuleta.com! Thanks for your patience and start shopping now! Check out David’s brief message to fans about the album cover contest. Join the Official David Archuleta Website and sign up to receive newsletter updates of his appearances, music, photos, blogs, and more. 26 September, New Albany Classic Invitational Grand Prix & Family Day, New Albany, Ohio. 8 October, Mentors International 2010 Annual Gala, Salt Lake City, Utah. 10 October, Skate for the Heart, to be aired in January. David has had several book-signing events in July. We’ll let you know when more dates are scheduled. If you don’t have a copy of Chords of Strength yet, buy today! > Had a great time in Louisville at the DJX Birthday Bash! I’ve never gone to bed as early as I did last night either felt so good! > Just visited WCDA in Lexington, KY! Crazy all the places fans come from to come to these radio visits! > Had a good time swinging by Q102 in Cincinnati! Now off to splurge a little on some Graeter’s ice cream. > In Columbus, Ohio for the night. Time to get some more grub. I feel like all I ever do anymore is eat lol. > If you want some amazing Italian food in Columbus, go to Basi Italia. Sooo good! > Just went in and had a radio visit at 97.9 WNCI in Columbus, OH. Thanks for having me! > @ Landed in Philadelphia. > @ Good hanging with @MaxwellsHouse and @NicoleBL4 at Q102 in Philly! > Made it safely to NYC. > Over visiting the label! Initialing a whole lot of pictures right now haha. > Just had an interview with @Seventeenmag :). Good times! > Good morning. Getting ready for Good Day New York! Go on in about an hour. > Haha. It’s nice to have such nice and friendly fans here in New York :). You guys are great! > Don’t forget to watch @AAKidsDay on CBS Sunday at 12PM ET to see me @Ddlovato @JonasBrothers @Shontelle_Layne & @AllstarWeekend! > Had rehearsals for @AAKidsDay today. Should be a fun time! > @TimUrbansHands I don’t think I have seen anyone’s screen name as random as yours…. lol. > In Rhode Island this morning. On our way to a PRO FM event! Excited to see everyone there. > Had good times and good food at Ladder 133 with @92PROFM and @RalphieAversa. Hope everyone who came enjoyed it! > Hey guys! About to do a live chat! You can go to KC101.com to join. About to start in just a few minutes. > Chat is starting now! Come tune in KC101.com! > Had fun performing at Six Flags New England for KC101! Bruno Mars is going on soon. > I love riding roller coasters! It was a fun show to watch tonight. Now back to NYC. > Doing a quick interview on Fox and Friends this morning. > Performing at Arthur Ashe Kids’ Day in just a bit! > Awesome crowd at Arthur Ashe Kids’ Day! Great seeing @Shontelle_Layne and @ddlovato again!! > No way, She Blinded Me With Science by Thomas Dolby just came on. Science! 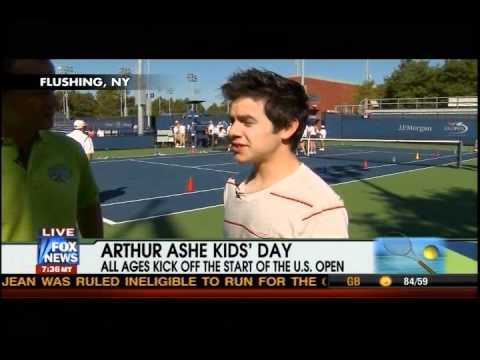 > RT @AllStarWeekend Tune in to CBS tomorrow from 12:00 – 1:30 pm (ET) for the Arthur Ashe Kids’ Day broadcast! – Good hangin’ with you guys! Follow David Archuleta on Twitter. He has more than 449,000 followers, but who’s counting? —I am!!! During the past eighteen weeks, David has averaged an astounding 5,222 new followers each week. David Archuleta appeared on the television show Tosh.0 where host of the show, Daniel Tosh, promised three girls that they would get the chance to meet David. When he wasn’t on the show’s American Idol-like set, they all went looking for him! They weren’t prepared for what they found! Our own Honeybee, Pecan Pie, reminds us to contribute to Crush Kids Cancer for SU2C’s 2010 campaign. The show is due to air on September 10th, so we don’t have much time left to go. The deadline for the fundraising challenge is Sept 1st at 11:59 pm PST. Did you miss last week’s Weekly Wrap? If you’ve fallen far behind, you should seriously search the Archhives! 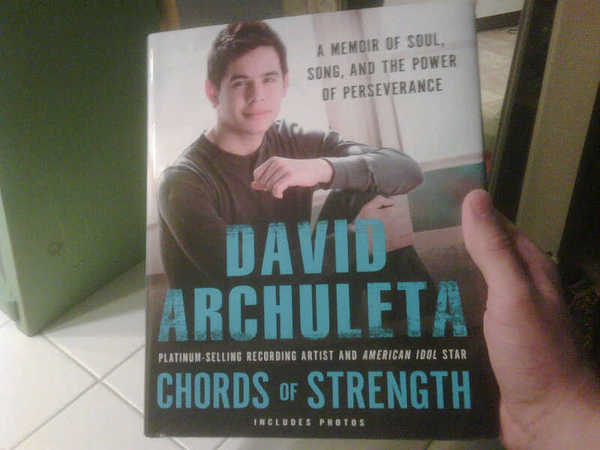 It’s not too late to reclaim your status as a David Archuleta fanatic fan! Thanks, Lyrix. I’m glad you enjoy reading Weekly Wrap. It can be hard keeping up with David, especially when he has a new album coming out. I’m sure I don’t catch everything, but I try to include the most important and newsworthy items. If you ever find something that you think I might miss, please let me know. You can use my gmail or use the Contact form on this page. He has been quite busy lately, hasn’t he? And I am loving it. If I run across anything, I’ll let you know.